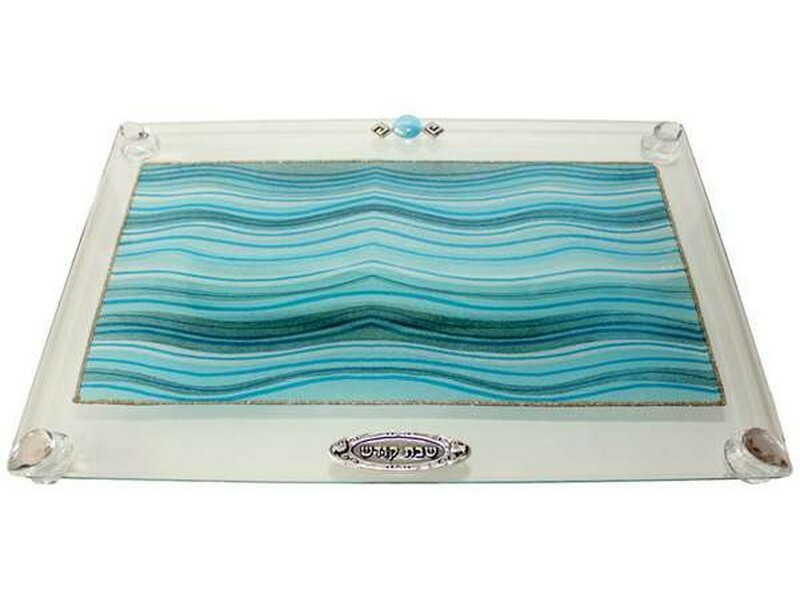 This glass challah boards serves both as a functional and beautiful piece. It has a lovely shades of blue applique. The challah board stands on four legs and is embellished with stones. A silver colored plaque reads “Shabbat Kodesh”, adorns the boards as well. This challah board makes a striking centerpiece and will surely beautify to your Shabbat and Yom Tov table. The Lily Art collection is recognized as a leader in unique Israeli Judaica design.